Katrina Kaif‘s split up with Ranbir Kapoor is creating a buzz but after she break up, she has turned up into the lady everyone wants. She is looking glam doll and we are crushing over her looks and hot bod. If break up is this much wondrous then everybody needs to try it. Just kidding but for a moment we can hold this point as in Deepika Padukone’s case, she also became so oriented and dedicated towards her and we all know that she is now the tenth highest paid actress in the world. Katrina is becoming more appealing and hotter and her closeness with Sidharth Malhotra is making the headlines. 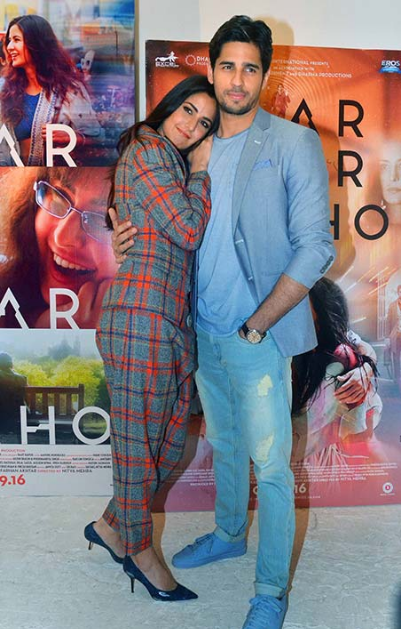 At the wrap-up bash of Baar Baar Dekho, the two were observed too close and if you don’t believe us just check out these pictures which are saying it loud. Katrina Kaif stands out for making a fashion statement recently when she came to talk about her September release Baar Baar Dekho. In the chic grey and red check pantsuit, she was looking stunning. Everything she wears these days becomes the top of the fashion statement and seems like the outfits are only made for her. Sidharth, on the other hand, failed to take off our eyes from Kat. But what we couldn’t get over is the closeness and chemistry between each other. After the triumphant trip, Sid and Kat’s closeness has only grown up. 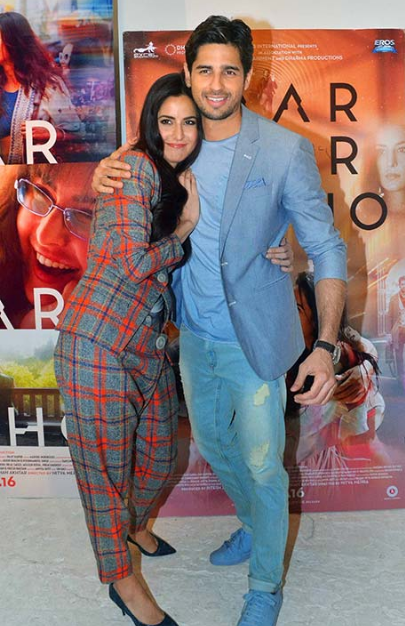 Look at the way Katrina is holding Sidharth. It’s adorable. If something other than friendship is cooking between them, then it will be one hell of a hot couple.